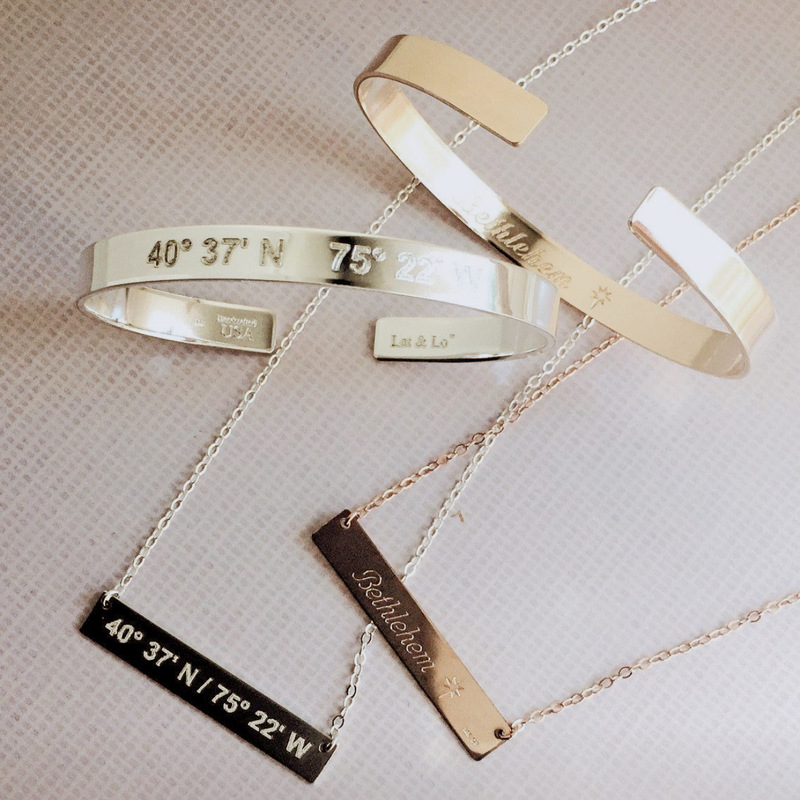 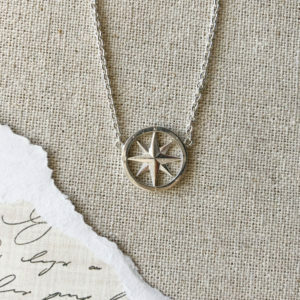 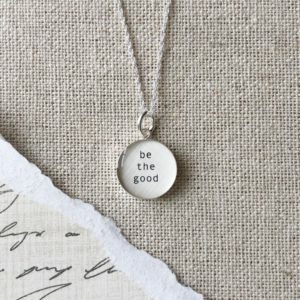 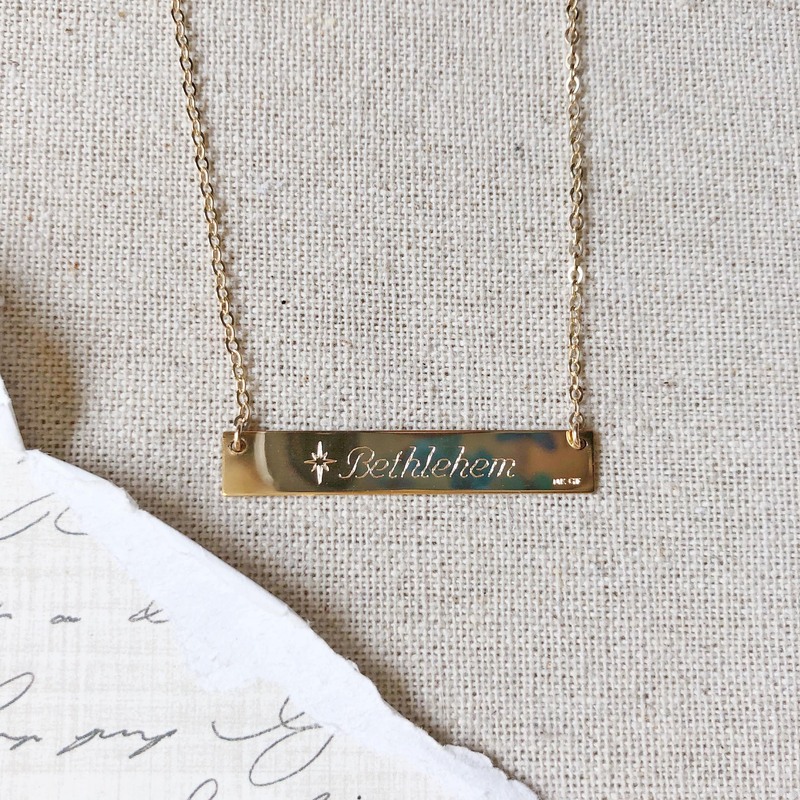 Show off where you are anchored with our Bethlehem Coordinates bar necklace from Lat & Lo. 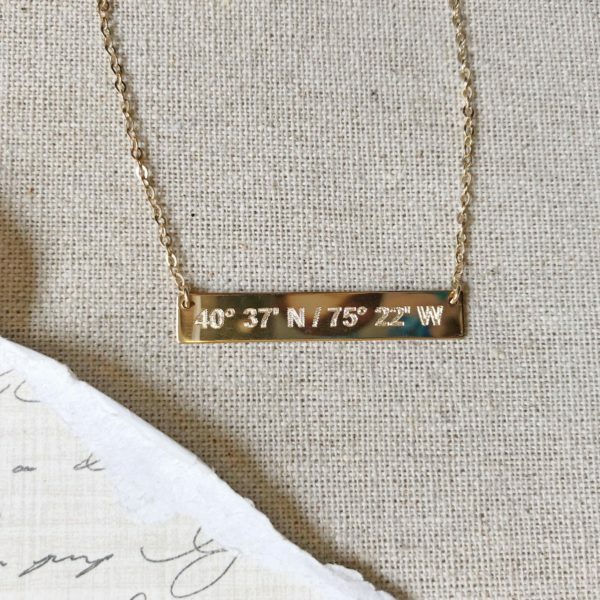 This reversible piece has the coordinates of Bethlehem, PA on one side and a custom engraving of our city name with the Star of Bethlehem icon on the other. 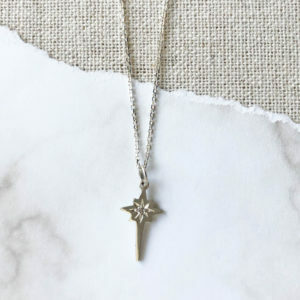 – Bar charm measures 1/4″ W x 1.5″ L.
– Overall necklace length is 18″.